Creepy Carnival is a beautiful carnival themed game from Nolimit City, with a horror angle mixed in that works out great. The carnival theme is one that we’ve seen other times in the past, but Nolimit City did something extra with Creepy Carnival. The circus theme and the usual host of unique characters that is usually displayed in it has been modified and turned into a horror game. The characters you see, from the ring master with make-up running down her face, to the creepy killer monkey, to homicidal clowns, evil witches and strong men do a great job at making this a game to remember. There are some additional symbols present, even some playing cards among them, but overall this is going to be a very enjoyable slot. The graphics are attractive and the way the symbols were designed makes them perfect for this particular theme. Looking at what the game has to offer, besides pretty graphics, you will find that it’s got sticky wilds, respins, multipliers, scatters and free spins, enough to make it an exciting choice on that front as well. Otherwise, you’re looking at a 5 reel title, with 20 bet lines for the base game and 40 for the free spins. The best wins will go as high as $3,750 in value. When you select the bet in Creepy Carnival, you do it by picking a total value that will cover every single line available. Low value wagers can be worth as little as $0.20, while players with deeper pockets will have the option of using $50 per spin. Whenever you get winning symbols, there will be respins involved and they will not cost you anything to trigger. 2x multipliers apply to the first respin, 3x for the second. During respins, the wild symbols are sticky. With the Witch Scatters in view a minimum of three times, you will get as many as 20 free spins from this game. You retrigger the feature with just two symbols though. This is one of my favorite parts of the game, as the free spins not only double the number of lines on which combinations form, but they also have 5x win multipliers to apply. Up to 50 free spins can be won at most when you trigger the feature. 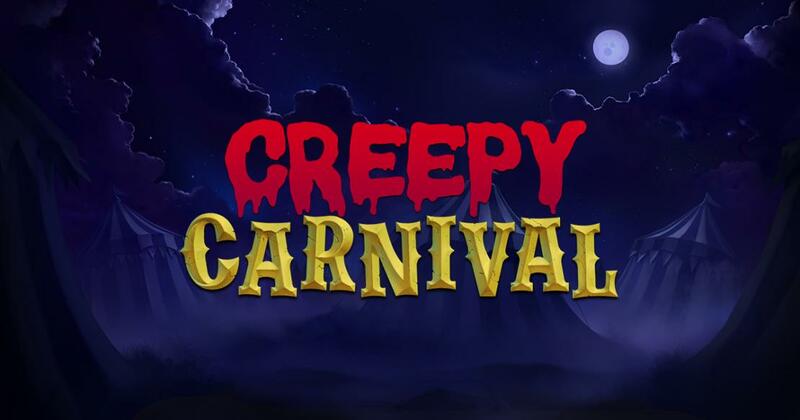 Creepy Carnival will be unique for a number of reasons, related both to its features and its theme and high-end graphics. Overall, it’s a game that you will want to check out. Try of out a demo version of Creepy Carnival.